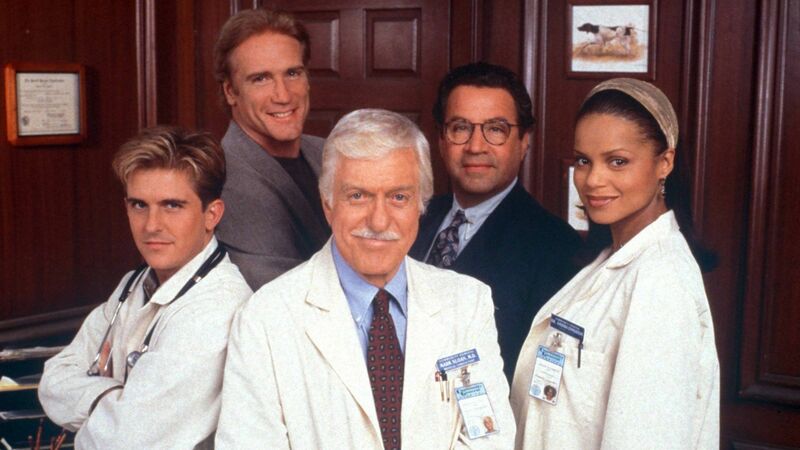 Here's where to watch every episode of Diagnosis: Murder season 1. Mouseover or tap an episode to see where to stream it. Click or tap the play icon to stream it on the best available service. Miracle Cure Oct 29, 1993 A priest kills his would-be blackmailers and does everything he can to cover his tracks. Dr. Sloan investigates when details don't quite add up. Amnesia Nov 5, 1993 Security is increased at the hospital when Senator Robert Bassett undergoes an operation. Drs. Sloan and Stewart are preoccupied when a beautiful young amnesia patient is brought in. Unbeknownst to them, their beautiful young patient is a professional killer. Murder at the Telethon Nov 12, 1993 When an abrasive, washed-up comic is found dead at a Community General benefit telethon, suspicion is cast on everyone from his son to his former writers. Inheritance of Death Nov 19, 1993 Mark's cousin, Jonathan Nash, bequeaths his million-dollar fortune to Community General Hospital. His three dastardly children are the main suspects after Nash dies suspiciously... before he has a chance to alter his will. The 13 Million Dollar Man Dec 3, 1993 After a dying man gives Dr. Sloane a winning lottery ticket, the deceased's family and creditors swarm him, claiming the ticket is theirs. Vanishing Act (1) Dec 10, 1993 A group of crooked cops frame Steve for murder after he gets too close to their robbery operation. Jack visits some past friends, now mobsters, to dig up information. Vanishing Act (2) Dec 17, 1993 The same gang involved in the Schroeder murder kidnaps Mark's underworld friend, Gus Benedict. Jack and Mark try to save Benedict before time runs out. Shanda's Song Jan 7, 1994 Dr. Sloan treats a famous singer,then takes her into his home as a homicidal closes in. The Restless Remains Jan 14, 1994 Financier Robin westlin dies in Dr. Sloan's house, but when the paramedics at the scene, the body's gone. Everyone is certain the event was a figment of Mark's imagination. Dr. Sloan goes on a quest to validate his theory. Murder with Mirrors Jan 21, 1994 A team of Magicians Clark & Madison, breaks up when Paul Madison decides to go solo. Mark jumps to his friend Clark's aid when Madison turns up dead with Eddie Clark the main suspect. Flashdance with Death Jan 28, 1994 Steve's latest girlfriend, a dance instructor, is a suspect in a murder investigation when a dance club's owner dies mysteriously. Reunion with Murder Feb 4, 1994 A tell-all book written by one of Amanda's vindictive old college roommates contains embarrassing secrets of all four roommates. Dr. Sloan tries to discover what happened when the author is found dead and Amanda is the main suspect. Lily Mar 4, 1994 A prostitute, who tells Jack of her plans to blackmail her clients, is found dead of an apparent drug overdose. Dr. Sloan interviews her clients to discover the real cause of death. Guardian Angel Apr 1, 1994 An unhappy politician's wife guns down her husband in an underground garage. Mark sees through her alibi and attempts to confirm his suspicions. Nirvana Apr 8, 1994 Chet Brooks, one of Jack's old friends, shows up on the run from gamblers, begging for help. Jack reluctantly loans Chet his car, only to have Chet and the car explode in a fiery wreck. Jack tangles with the underworld to find out what happened. Broadcast Blues Apr 15, 1994 A convict, being treated at County General, manages to take a hostage and demand news coverage. When the newscaster covering the event is shot down, Dr. Sloan takes it upon himself to figure out what went wrong. Shaker Apr 29, 1994 A Los Angeles earthquake apparently causes an armoire to topple over on top of a good friend of Dr. Sloan's, Martin Garfield, killing him. The dry-eyed Sloan goes to work and discovers that Garfield may have been killed before the earthquake. Jack and Amanda help Mark weed through the wealthy family to find the murderer. The Plague May 6, 1994 A gangland 'protector' under surveillance by Steve becomes infected with the plague when a medicine bottle is mysteriously switched. Dr. Sloan tries to find the source of the virus before the murderer starts an epidemic. Sister Michael Wants You May 13, 1994 Dr. Sloan goes undercover at a convent when mysterious circumstances surround a murder.